Petite Monogram Lucite Tray – Bold Stripe Nautical by Boatman Geller! The perfect size for an entry table or vanity, Boatman Geller’s Petite Monogram Lucite Trays make the most thoughtful gift. 6″ x 6″ Includes one personalized paper insert. 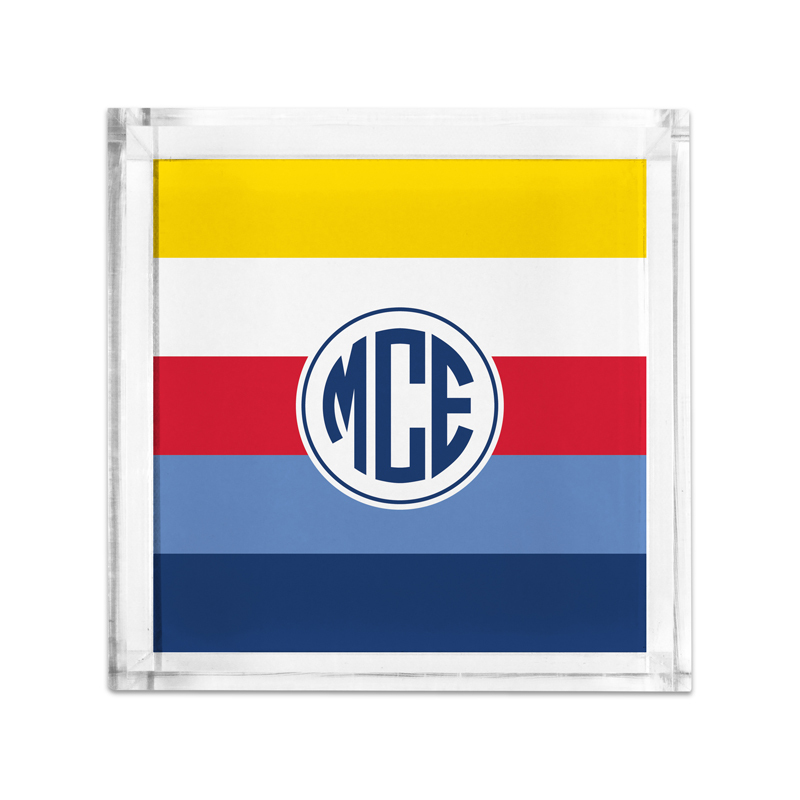 As all monogrammed lucite trays are custom made especially for you, they may not be returned. Please allow two weeks for delivery of this item. As all monogrammed items are custom made especially for you, they are not returnable. Please allow two weeks for delivery of this item. Click Here to View All Items by Boatman Geller. Enter Initial(s) or Name Below: For Classic, Script & Circle Monograms please enter first,LAST,middle. For example enter JSD for Jane Doe Smith. For McLaren Initials please enter First, Middle, Last. For example, Jane Doe Smith would be entered JDS. For Single Initials or Text please enter EXACTLY as you wish it to appear. Entry is case sensitive.